Hard to believe it’s been a year since The Waters Senior Living hosted a Launch Reception for CPL! On November 1 we celebrated with Richard Leider, our Associates Team, the leadership of The Waters and other Twin Cities colleagues. It was a snowy night; we were so pleased so many made the trek! Thanks again for Katherine Todd’s introduction to her Leadership Team. 1 year later, as we what has become core to our work and daily practices is this how convening and purpose are integral to purposeful leadership. 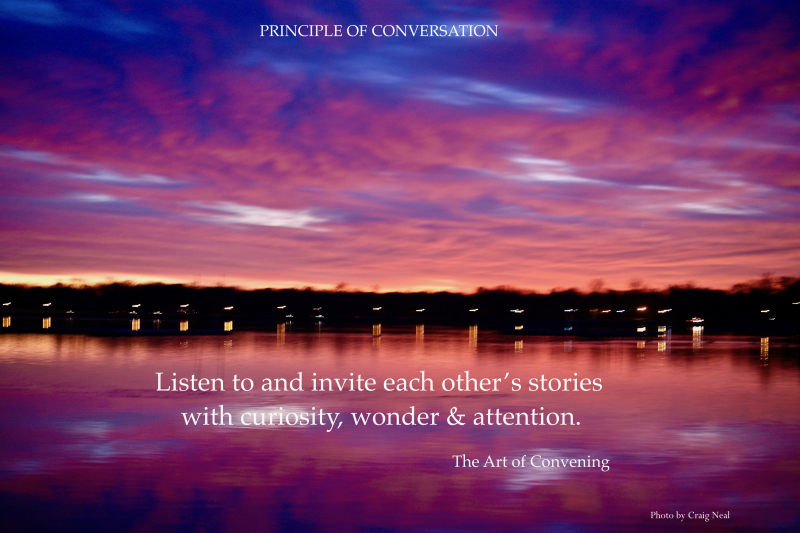 Convening creates a structure to connect to your purpose and be in authentic relationship with others, a core practice for purposeful leadership. This past Wednesday, Center for Purposeful Leadership hosted its first reception welcoming over 45 colleagues. Our purpose was not only to convene and reconnect with colleagues but to introduce the CPL Team. 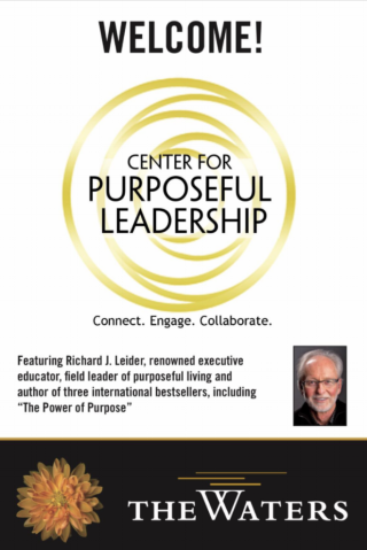 We were honored to have purpose leader Richard Leider speak on the Purpose Movement and Purpose Research and pleased to connect and convene with others to spread the voice of what Center for Purposeful Leadership stands for. Gathering with so many thought leaders from the Twin Cities truly shows the great direction purposeful leadership is headed. CPL is honored and excited to have you on this journey with us! Qualitative research plays a unique role in CPL’s Whole Person Leadership for Women program. Faculty member and Qualitative Research Specialist Claudia Eisinger of Fifth Element Associates has created powerful results integrating research into the program. Core to Whole Person Leadership for Women (WPL) is the concept of “From Where You Lead”: Who are you as a leader? What are your leadership values and principles? What is your purpose and how do you share it? The role of research in the WPL program is as a deep listening and reflecting tool to help you connect to and nurture what matters to you. When you are connected more fully to your purpose you are able to connect more genuinely with and bring out best in others, creating a wider, collective and culturally beneficial impact. Through individual participant interviews and synthesis of each program session, Claudia identified patterns and trends of the individual and collective journey of the WPL cohort. A potent example of a research insight about the program is reflected below. If you are a woman leader who wants to be more authentic and powerful in your various leadership roles: at home, at work and in your communities, we’d love to have you join us. The next cohort begins in October. Learn more here. Tend & Befriend: Back in 2007 I read an article about a 2003 UCLA study where researchers identified a critical difference between the sexes…how we manage stress. I began to ask new questions about leadership and representation and wrote an article that led me to co-found a women's leadership retreat with Vonda Vaden Bates: When Women Lead. The questions that led me to create When Women Lead are still relevant today and led me to create Whole Person Leadership for Women in 2017. I invite you to read the article and consider joining us for the next Whole Person Leadership for Women cohort this Fall. I wondered what is the expression that is needed to create leadership that brings wholeness? What is the world that we want to see for ourselves, women and men, and our children? And how do we get there? I felt it was time for women to step forward in our real power, which is being who we truly are. Who we are as feminine leaders is that we are humans first; we come from and can act from wholeness that recognizes that. In 2003 UCLA researchers identified a critical difference between the sexes…how we manage stress. Early baseline studies on stress and human behavior were conducted predominantly on men. This study established a new baseline: Females respond to stressful situations by protecting themselves (and their young) through nurturing behaviors (‘tending”), and by friendship, forming alliances with a larger social group (“befriending”). In other words, the traditional “fight-or-flight” explanation may be inaccurate when it comes to women. I began to challenge all assumptions as to how the world functions and how I can make a difference. I had spent my life overriding natural tendencies of behavior and leadership. I began to look for models and allies that could help me grow into the leadership that is naturally mine: leadership from the perspective of wholeness versus authority-over. In Spring of 2017, Rachel Harris, MAOL, a trusted Heartland colleague since 2012, left to run for City of St. Louis Park City Council. In November 2017, SHE WON and is now the Ward 3 Council person!! Lucky them! Even though it's been over a year, it is never too late to give a proper send-off and honor her. Joel Hodroff of Scryp.io and DualCurrency recommended Rachel to us — was he spot on! Rachel was a joy to work with for five years. We learned so much from her as a Systemic Change Facilitator, Policy wonk, and Strategic thinker, but also as one who holds a big vision for kindness, equity, collaboration and all boats rising in our organizations and communities. We say goodbye, and a big thank you, to Sarah Flores, our trusty marketing and social media intern for 1-1/2 years. Sarah helped build and grow a structure for our marketing outreach as we rebranded from Heartland Inc. to Center for Purposeful Leadership a year and half ago. Sarah graduated from the University of Iowa in May and recently moved to Denver for exciting new work with Insight Global. We welcome Anna Patterson, our new marketing and social media intern. Anna has helped expand our social media game, while keeping an eye on on our marketing program. Anna is a Senior at UW Madison, completing her degree in Strategic Communication and Political Science next May. Many thanks to Daniel Scotton, a most excellent summer CPL intern, who has guided the visual design and technical buildout of our new blog. His creative leadership and willingness to work hand and hand with us allowed the blog rebuild to be completed in record time. Daniel is completing his degree in Philosophy and International Business at Hamline University. We are grateful for his willingness to dive in to grow his expertise and teach us a lot of new tricks! Introducing our beautiful new blog! Each week we'll share all things purposeful: Purpose Moments, Purpose Shared postings, convening as purpose-in-action, and more. You can participate, too! Send us your stories of sharing your purpose. How has sharing your purpose made a difference in your life, organization or family? We are collecting interviews and stories as an inspiration for others. Email Patricia with your ideas. Many thanks to Daniel Scotten, a most excellent summer CPL intern, who has guided the design and technical buildout of the blog. Last week Craig and I met with Richard Leider. We reviewed the binder of materials covered in the recent Whole Person Leadership for Women. We are actualizing purpose work in innovative ways such as via the Napkin Test (Richard's), WPL Leadership Blueprint & Challenge, Purpose Statement and Purpose Plan. Living your purpose is visceral for Richard. He had a challenge for us to consider: If purpose is about growing and giving, how are we using our Purpose Statements to grow and give every day.? How does my Purpose Statement help me organize my day? What are the benchmarks? At the end of the day, what is the measure of expression. He is a believer of first thing in the am, before anything else, to take a moment and focus on purpose. Last thing at night, review the day. For instance, my purpose statement is: “Bringing people together for positive impact for all boats to rise.” At the grocery store, at work, wherever I am. 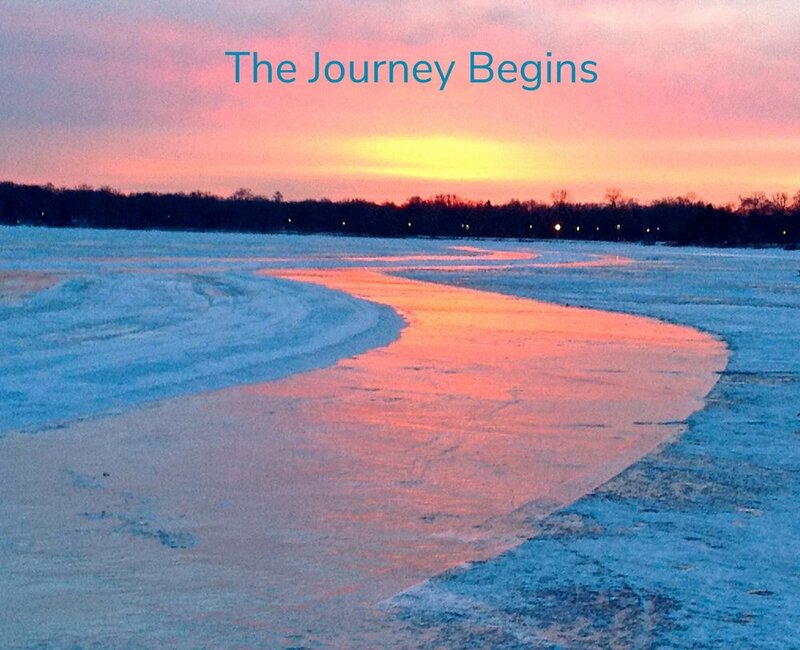 He asked: in the morning, upon awakening do I imagine who I will be connecting? In the evening, can I recall my impact? Or how many boats have risen? Oh boy! That conversation has helped be narrow my focus to more fully express my purpose. 14 years ago, sick and tired of attending meetings where I left feeling, at best, depleted and others moaning about, yet another meeting, "that didn't go anywhere"; I invited 12 leaders to join me in the 1st Art of Convening Teletraining. It was an early virtual laboratory or "skunkworks" project to explore what the components of what makes for a transformational meeting, gathering or even conversation. Now, 14 years later, we've learned a thing or two. Clarity of Purpose and Intent- Get crystal clear BEFORE your engagement on why you are meeting and what your intent is for success. An invitation that has meaning and relevance- Make sure your invitation clearly articulates the form, function, and purpose. Then ask yourself why people should come and what's in it for them. Set the Context- Open with a warm welcome, tell them why they have been invited and review the high points of the agenda including expectations and outcome. Create a container of safety and generativity- People want to know what the "terms of engagement" will be. For example: ask people to be present by resisting the urge to multitask. Hear all the Voices- When people feel their views count, they become more engaged and engaged people tend to own the outcomes. (Accountability!) Start with a check-in to take the temperature of the group. Take a few minutes to ask each to respond to what expectations they have for the meeting. A simple 30-second check in from each will tell you volumes about where you might go and what people want from the meeting. These simple 5 steps can go a long way in improving clarity, buy-in, and alignment in any virtual meeting. Check out our next Convening Powerful Virtual Meetings Training! "What is most exciting is that even though there are clear outcomes and objectives for the program and each session, we also know that this is a dynamic and emergent process"
With the addition of this dynamic team, what has transpired is a collaboration of spirit and expertise. I presented the initial concept and inspiration as a basic framing. Since then, each team member has assumed a role of stewardship and primary contributor to design from not only their area of content expertise, but from many-decades-real-time experience with the challenges and opportunities for women in the workplace, as well as their own personal and professional development. This evolution to stewardship didn't just happen by accident. We utilize the principles and practices of convening to create a consistent structure, path and map to build trust and mutual respect, parallel to getting work done. We follow the thoughtful 9 steps of the Convening Wheel as the structure of each meeting and conversation. At the center: the heart of the matter. What is at the heart of the matter is always a crucial place to begin. So, what IS at the heart of the matter? First and foremost, we are colleagues that did not know one another before being introduced by CPL becoming trusted colleagues and even friends. What is crucial is a relationship-first orientation. How are all voices heard? How do decisions get made that honor each voice and expertise? What are our individual and collective values? What does excellence look like for each of us and for the whole team? What do we agree are the "non-negotiables" for trusted participation and delivery of content? We are "building the ship" as we design program and presentation together. We set sail next week on January 22 for the first of five Zoom video sessions and complete in May for a 2-day in-person Summit. What is most exciting is that even though there are clear outcomes and objectives for the program and each session, we also know that this is a dynamic and emergent process: the learnings that emerge from each of the sessions and [very accomplished] participants will guide and propel us towards that final two days that will be more about co-discovery than about teaching and learning. I can't wait to see what happens and who we will be by June 1! "Creating a New Story for Work/Life: No More 'Business as Usual'"
"Be a Purposeful Agent of Change in Your Organization: E.Q. for Leaders". We covered a rich list of topics from "The Business Case for Trust," one of Vivian's favorite subjects to the ROI of Purpose and Engagement for powerful collaboration. Contact us if you'd like to know more! "At the heart of the matter is purpose. Recent research shows that a sense of purpose, not a specific set of characteristics, is the key to successful leadership. 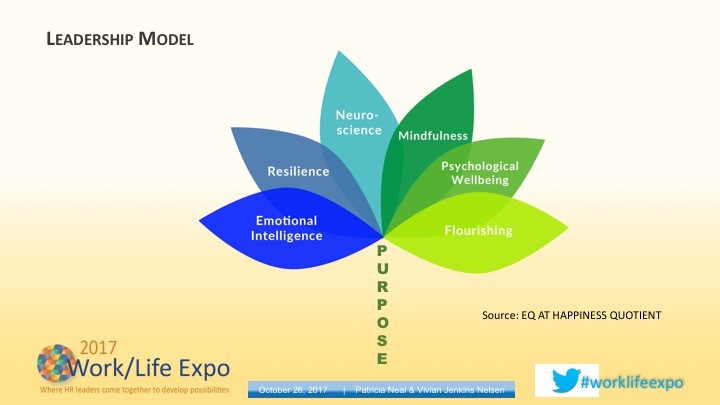 How do purpose and emotional intelligence work together? How do you find or align your purpose with your leadership? How can this transform your leadership and your team or organization? Thriving cultures create higher ROI and engaged people. Engagement is about linking life's purpose with work that matters. Engaged people are happier, more alive, productive and collaborative. Having a clear purpose is the key to successful leadership and thriving organizations." 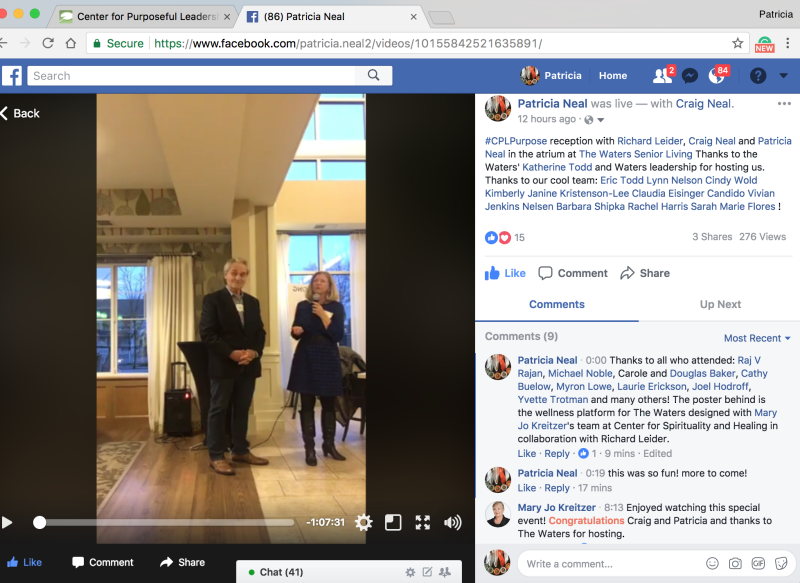 We covered trust, EQ/emotional intelligence, CI-Q/conversational intelligence, neuroscience of connection, purpose, purposeful leadership, engagement, meeting design-- an amazing amount of information in a short amount of time.